Suzy Klein presents live music from the Albion Quartet and Javier Camarena. Plus writer Dennis Kelly chats about Matilda: The Musical, which he adapted from Roald Dahl's book. Suzy Klein presents a lively mix of music, chat and arts news. The newly-formed Albion Quartet makes its broadcast debut ahead of it's first concert in London. 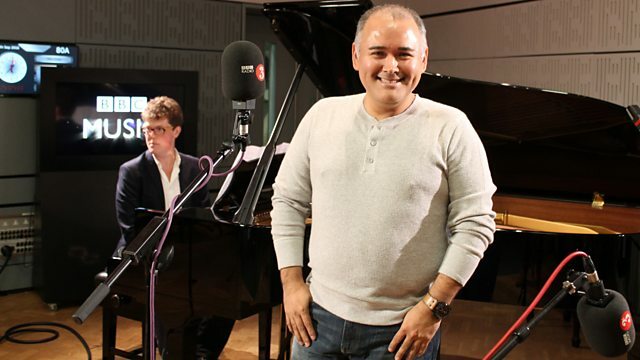 Mexican tenor Javier Camarena, who makes his Royal Opera House debut this month, performs live, plus writer Dennis Kelly chats about Matilda: The Musical, which he adapted from Roald Dahl's book. Music Arranger: Raaf Hekkema. Ensemble: Calefax. Orchestra: Amsterdam Concertgebouw Orchestra. Conductor: Riccardo Chailly. Singer: Johan Botha. Orchestra: Radio-Symphonieorchester Wien. Conductor: Simone Young. Performer: Nikolaj Znaider. Performer: Daniel Gortler. Bravo! Virtuoso and Romantic Encores For Violin. Singer: Paul Kaye. Singer: Peter Howe. Ensemble: Members of the Cast. Conductor: Bruce O’Neil. Roald Dahl's Matilda: The Musical. Performer: Javier Camarena. Performer: Tom Primrose.